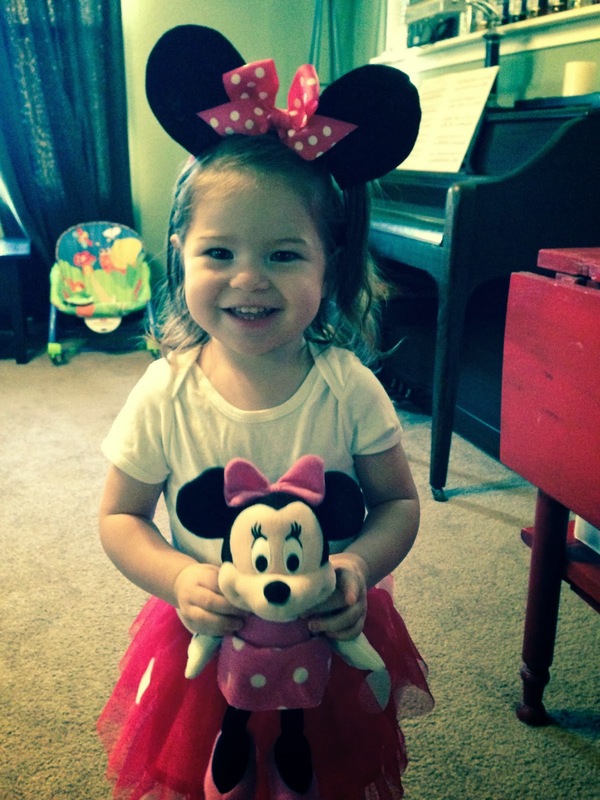 My sweet baby girl is not a baby anymore, but a toddler! I can't believe she turned 2! Lately she has been obsessed in Minnie Mouse and since we don't watch much TV and it's the first character that she's really recognized, I think it is just the sweetest thing that she knows about Mrs. Mouse without even seeing her on any shows. 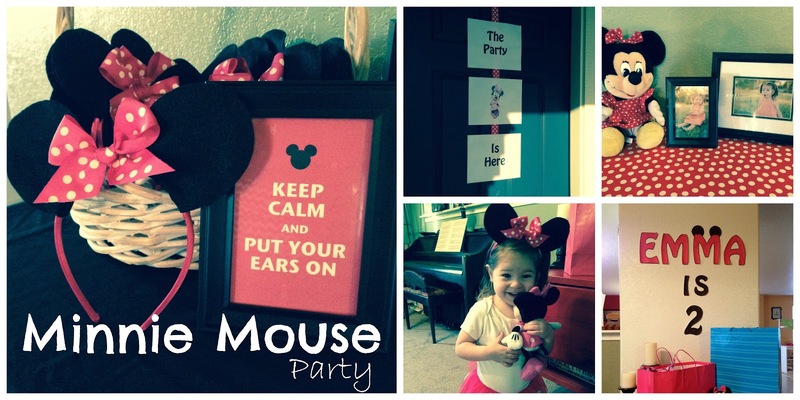 So, of course we had to plan a Minnie Mouse Birthday Party, and I can't wait to share what we did with you! 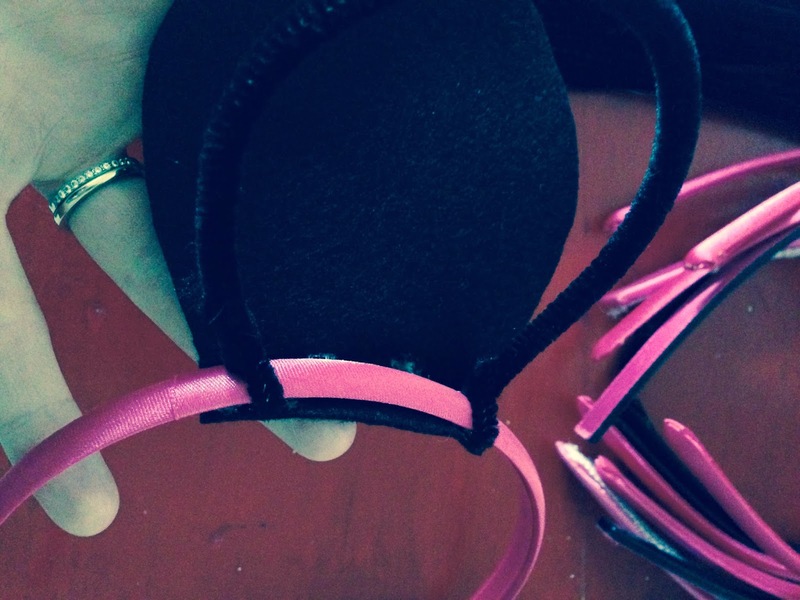 Before the party I found some cheap headbands in the clearance section of Hobby Lobby and made them into mouse ears. 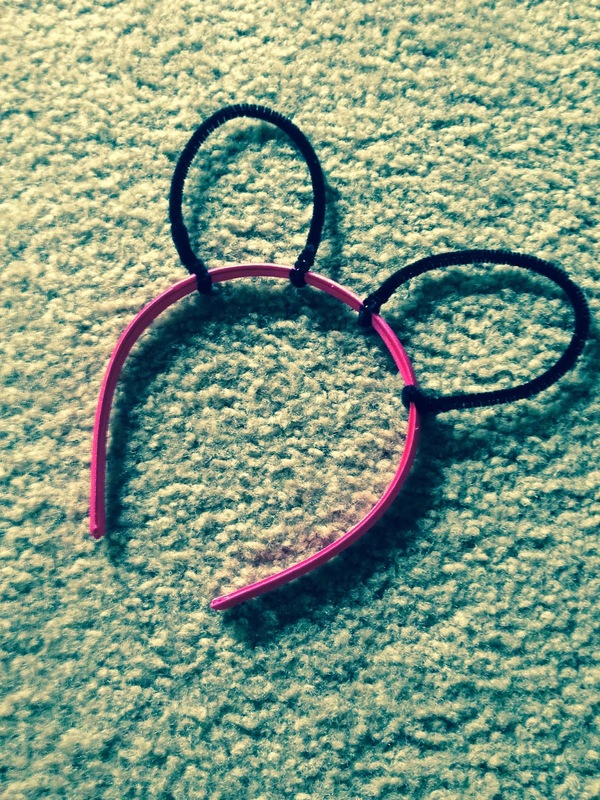 You could use black headbands but I was keeping it cheap and plus I think the pink adds some cuteness to them anyways. 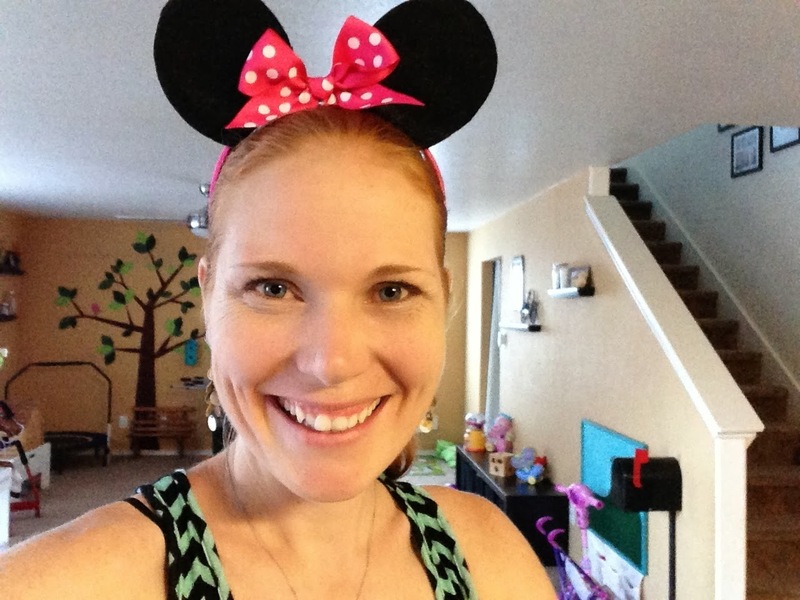 I used the headbands to make Minnie Mouse ears, which you can see on my birthday girl below. All I did to make these was to wrap black pipe cleaners around the headband to make a base to glue on an ear shaped piece of black felt. The pipe cleaner serves as the structure to make your ears stand up. 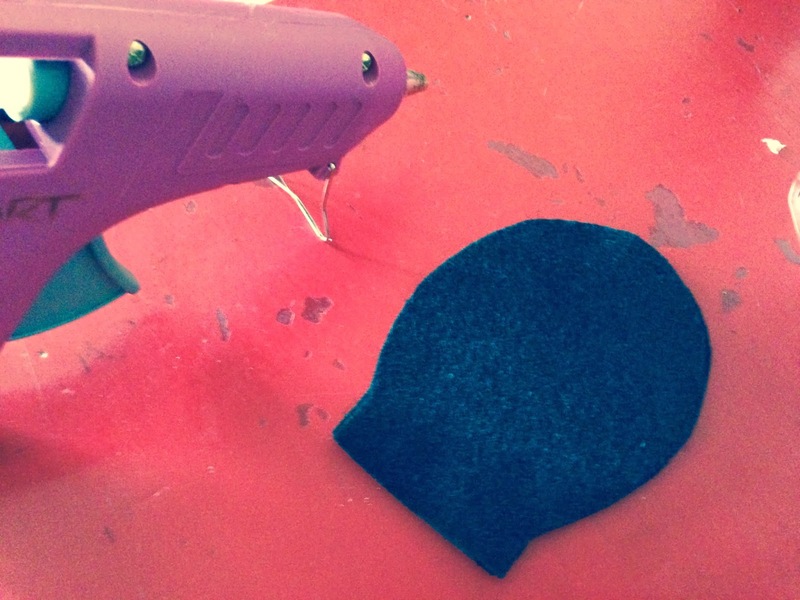 Here's the shape I used for the felt ears. 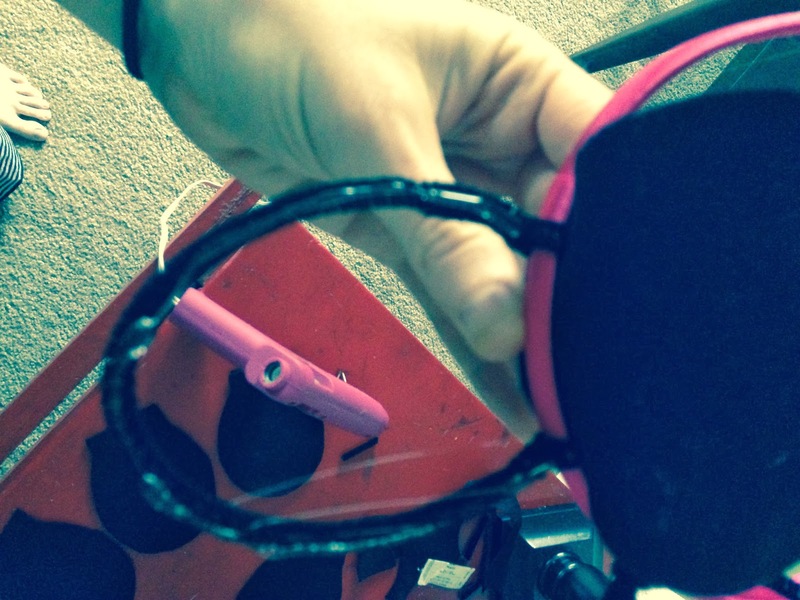 I wanted to make sure there was a little bit to cover over the headband on the bottom. Then all you do it glue it on to the pipe cleaner structure. Pretty self explanatory. Lately, because our friends have been having so many birthdays, I have been getting tired of the same old party food: pizza. 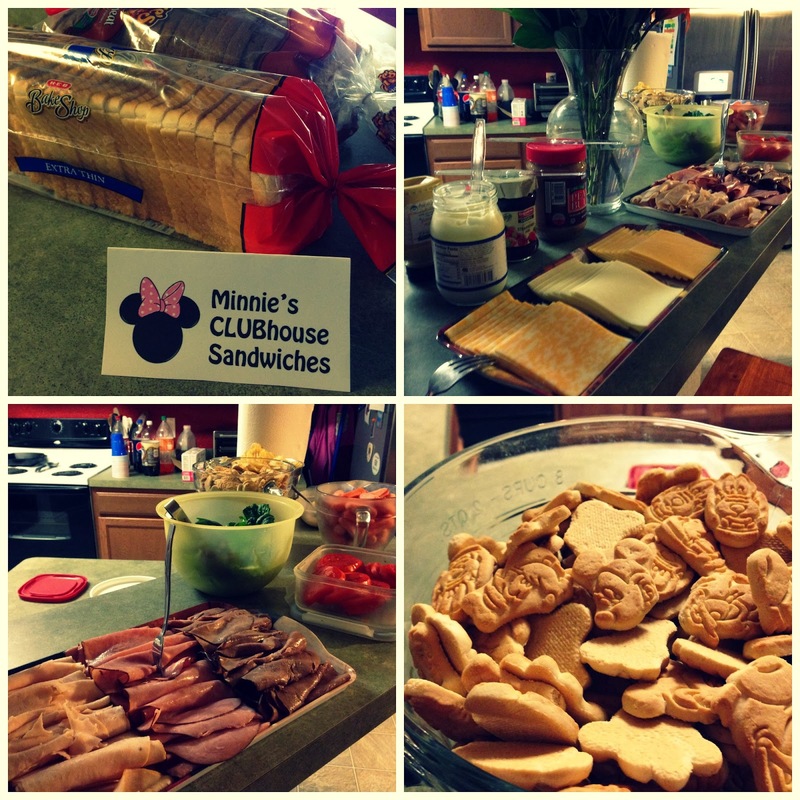 So, we opted for a healthier option this time and served Minnie's Clubhouse Sandwiches. The sandwiches had all the fixings out on trays for them to make their own sandwich. Then we served some disney animal cookies and some chips and carrots on the side. What's a birthday with cake...or cupcakes that is?! 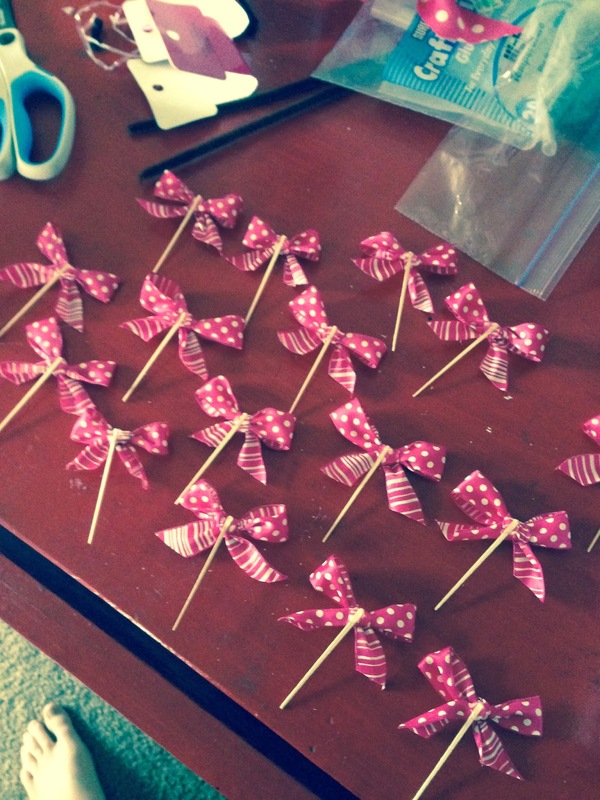 Here's the cutest and easiest ones to make around. Buy a bag of regular and a bag of mini oreos and then simply put them in the shape of the mouse's head. 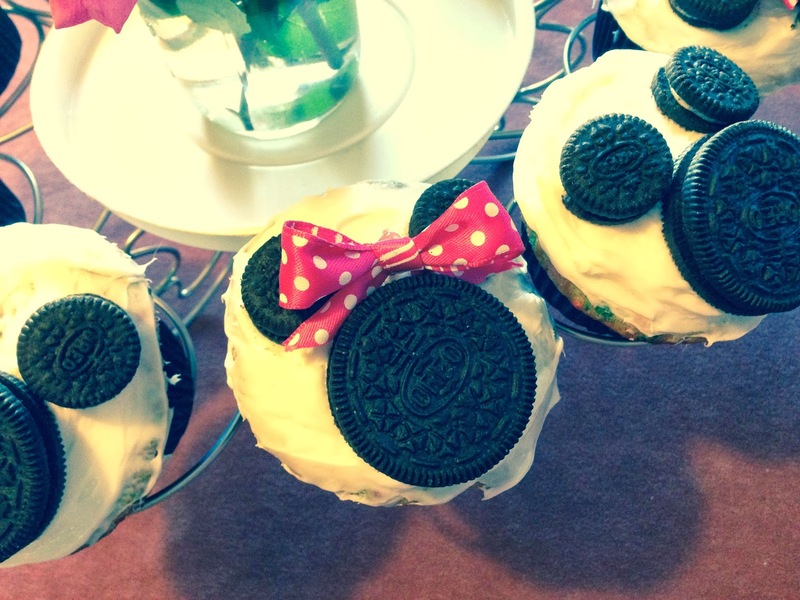 And for added fun you can hot glue small bows onto toothpicks and stick them into the cupcake to make some of them Minnie cupcakes. 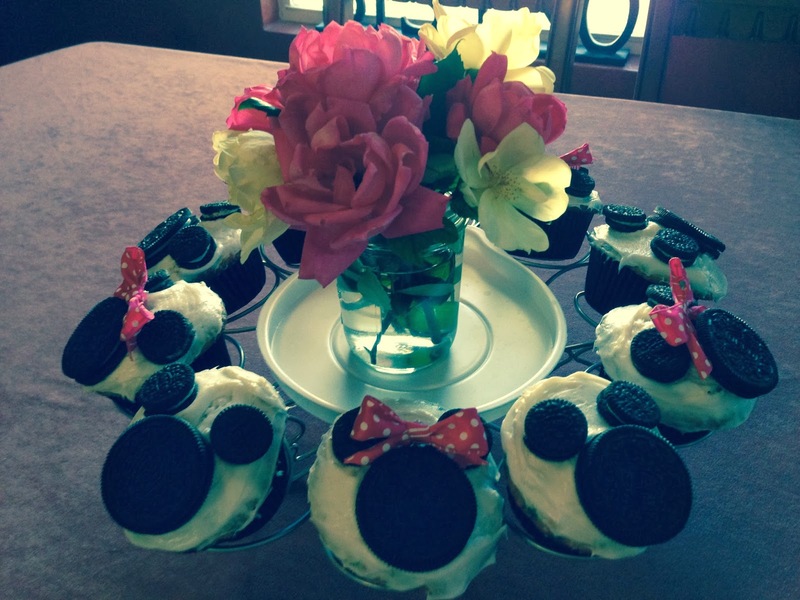 I made them half Mickey and half Minnie. I knew some of the boys wouldn't want anything girlie. Here's some of our decor that we did. This one is the gift table. I just typed out large font on a word document and cut it out and used sticky tac to mount it to the wall. Just add a few black ears behind one of the letters to make it super cute! 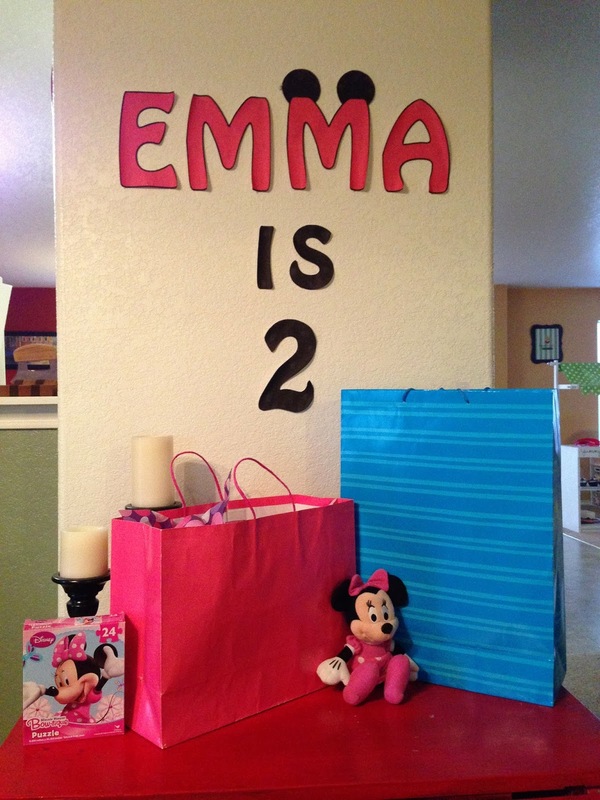 Our entry table had pictures on display of Emma when a baby and now at 2. I also put the basket of ears on the table for the kiddos to grab when they came in. Here is the frame that sets out in front of the basket of ears. 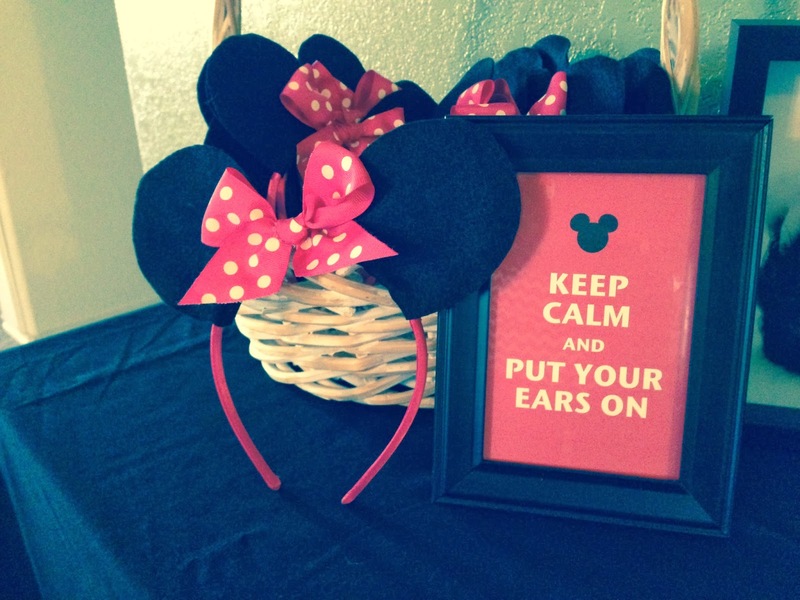 "Keep Calm and Put Your Ears On". I saw it on pinterest and I had to recreate it!! 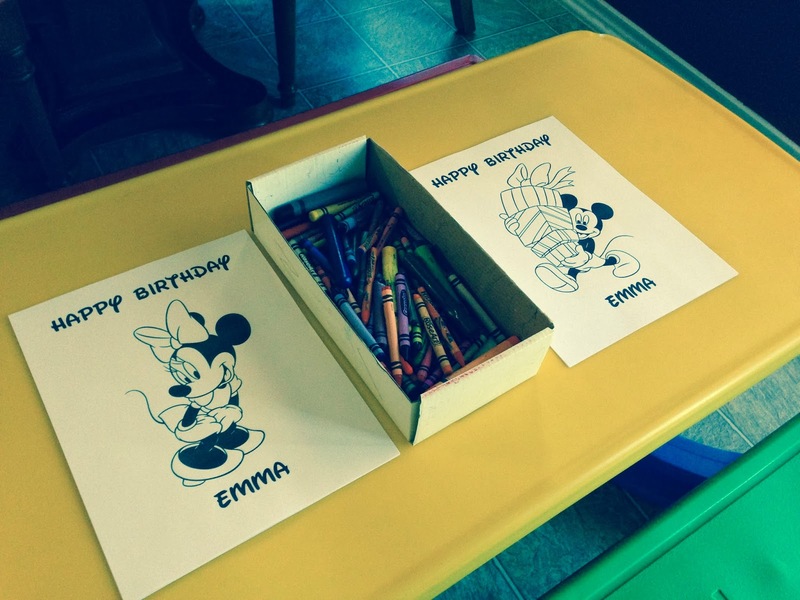 For an activity while the kids were getting here I just found a Minnie and Mickey coloring page online, got the free disney looking font and added "happy birthday Emma" on the coloring page before printing. It's the little touches that make it count. 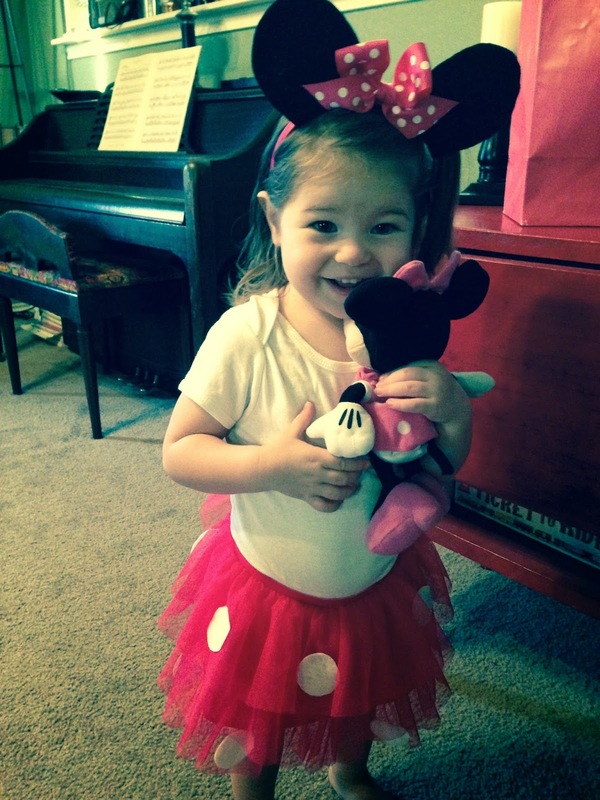 As you probably saw in some of the pictures I had my birthday girl dressed up like Minnie. She wore her ears I made and then I made a simple Minnie tutu by using a cheap tutu I believe I found at the dollar store that I already had in the closet and I simply sewed on white felt circles for the polka dots. 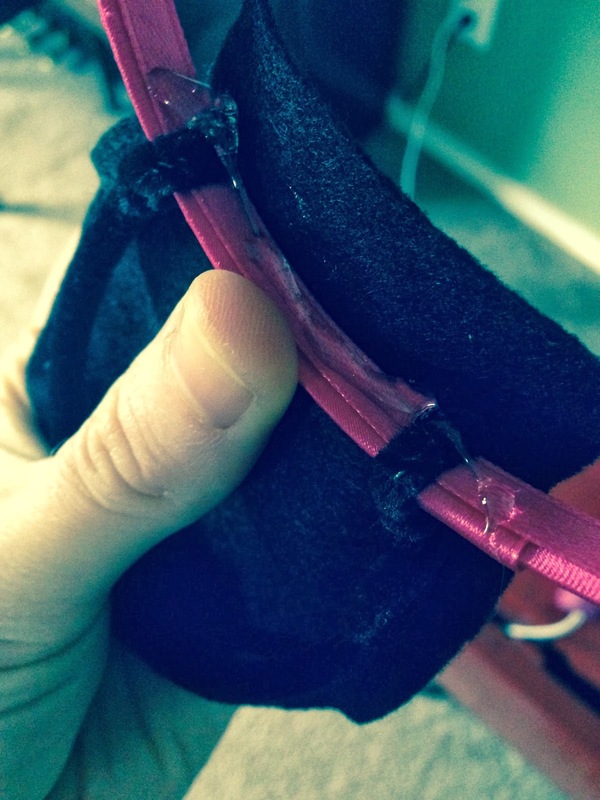 If you don't intend to use the skirt again you could save a little time and just hot glue them on. Here's a better picture of the birthday girl with her skirt. Yup, you're welcome for that! Ha!